As a gateway to and from the continent, once a military stronghold, Kristiansand is the fifth largest city in Norway with a population of about 85,000. This area has been inhabited since prehistoric times. In 1996 a well-preserved skeleton of a woman dating back to 6500 BC was discovered in the area. 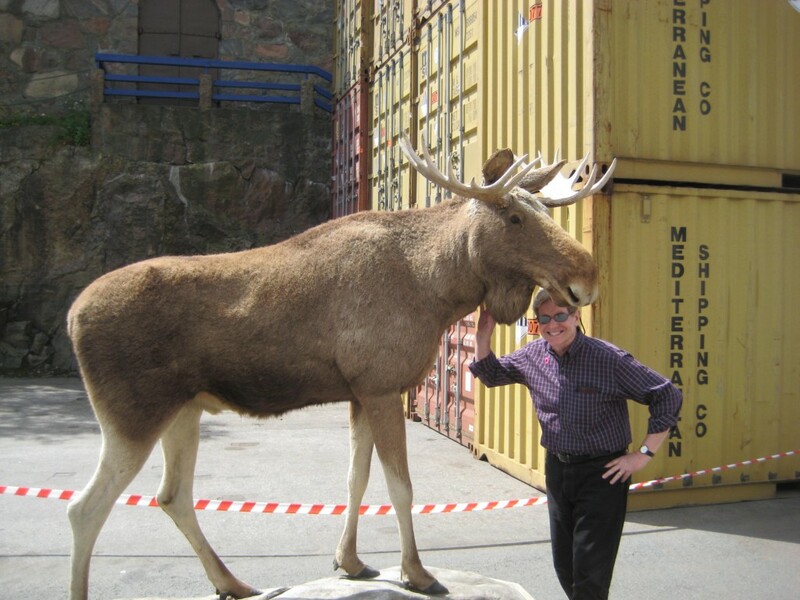 Known today for being the second largest attraction in Norway is the local zoo, attracting over one million visitors a year. Bryggeri is a local producer of beer and soft drinks since 1859. The Hennig-Olsen family has been producing ice cream in the area since 1924. 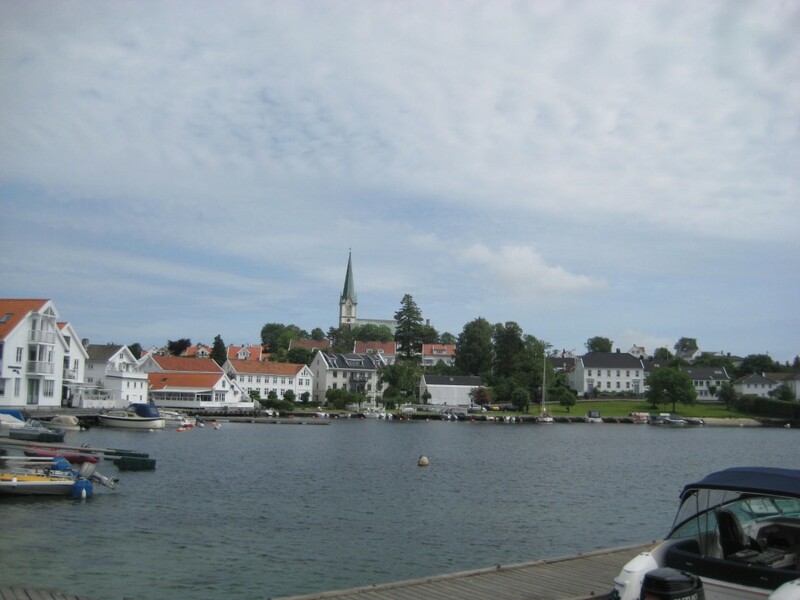 Kristiansand is also known as the sunniest city in Norway and also known as the floral town of Norway. In summer you will find more than 20,000 flowers in bloom around the city. Although the forecast called for rain, we lucked out and the weather was warm and sunny until late in the day when we had some light rain. By then most guests had returned to the ship and we were on our way to the next port of call. 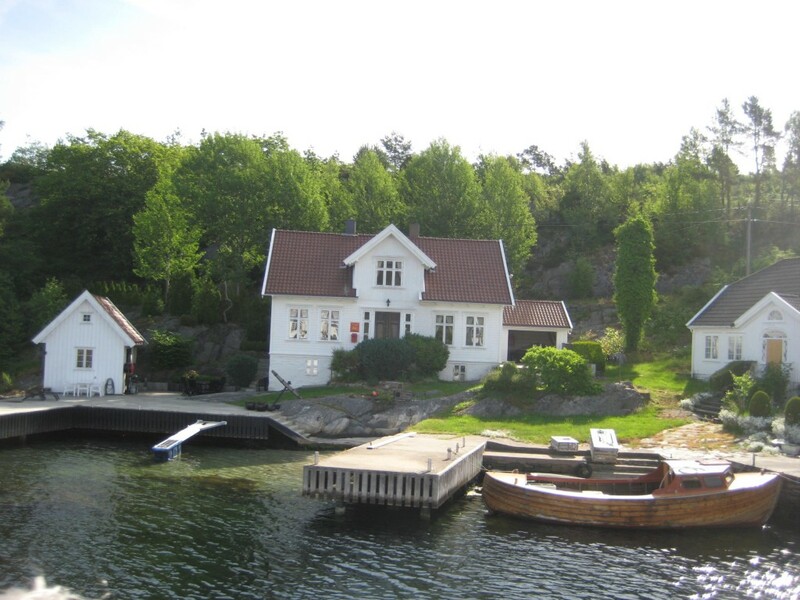 Our tour this morning took us by boat from Kristiansand to a town called Skottevik. The 90-minute boat ride took us into many small inlets, around small islands where we could see how the locals spend their weekends or holidays at second homes on the sea. Many of these home have existed here for hundreds of years and been passed down from generation to generation. These homes range from very small cottages to very elaborate looking homes, but most all of them are painted white. 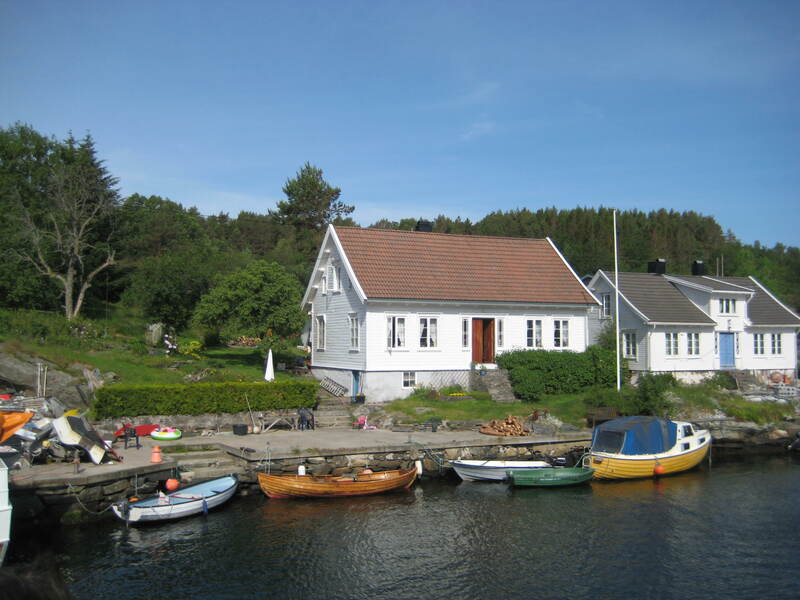 White paint was once a luxury item and was brought back to Norway by its sailors. All who could afford to have a white house did. For others it might only mean they would have a white façade but today most of the houses remain white. The landscaping is very picturesque with hills of stone and lush green landscaping. After the boat cruise we boarded a bus for a scenic drive to the town of Lillesand, named for its small sand beach. The sand beach is about the size of a postage stamp but it is a beach. 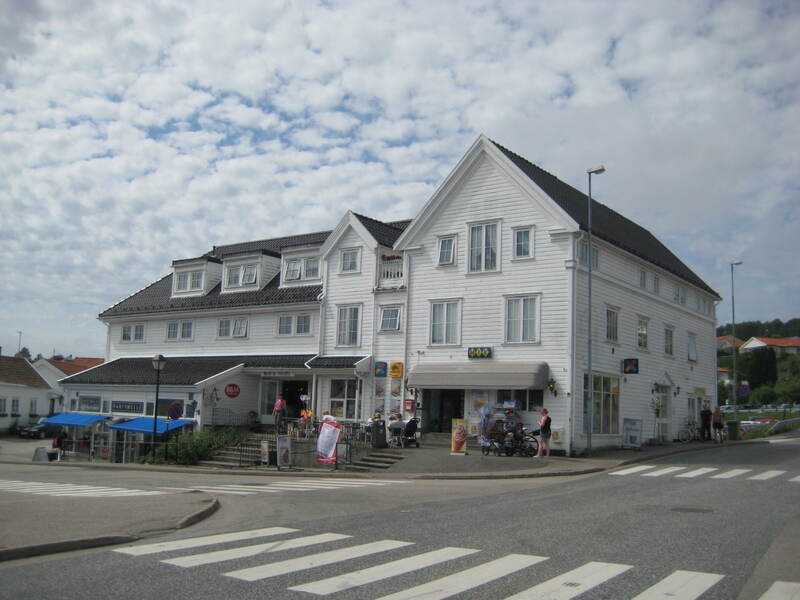 Lillesand is a charming seaside town of 18th and 19th century timber homes, all of which are painted white. The gardens are filled with spring flowers in bloom making for a very inviting spot. In the afternoon we headed into Kristiansand on foot where we discovered pedestrian only streets filled with shops of all sorts. We walked through the local fish market, checked out the third largest cathedral in Norway, the 1672 fortress and a band playing music in the central square. Souvenir shopping featuring trolls of all varieties seem to be the most popular. You can find troll key chains, statues, figurines, refrigerator magnets, postcards and more. Tonight’s entertainment was a show by the Ryndam singers and dancers called Heat. The show took you on an exotic tour around the globe via a wall of projected photos and videos. The songs mostly featured fire or something steamy. You may be asking where all the talk about the people is? Well, we did meet a 43 year old, gay music producer from Nashville who is quite a character. He had just finished working with some producers for Cold Play and Rhianna in London. Since he had finished his work earlier than expected and friends were sailing on the ship he decided to join them. He is quite the storyteller with one joke after the next, always entertaining. Most often found entertaining at the bar or in the casino at a black jack table. There are a large number of Brits on the ship since the ship leaves and returns to Dover, eliminating the need to fly anywhere. The British enjoy their full English breakfast of baked beans, sausage, bacon, eggs and tomatoes. Beer and tea with milk are in high demand as well. We have enjoyed interacting with the Brits but we are always amazed at how we speak the same language but we often have trouble understating what they are talking about. The expressions and words they use to describe things are often very different from American English.